The Neanderthals are symbiotic life form due to archaeal endosymbiosis. The archaea induces the Warburg phenotype with increased glycolysis and the blockade of the TCA cycle and mitochondrial oxidative phosphorylation. The Warburg phenotype is seen in autoimmune disease, schizophrenia, autism, cancer, degeneration and metabolic syndrome x. The Neanderthals ate a ketogenic diet of fat and protein to suppress the glycolytic pathway. The Neanderthal hybrids formed by homo sapien mating had a high carbohydrate diet due to grain cultivation in settled colonies. This tends to increased glycolysis and accentuates the Warburg phenotype and associated disorders. The glycolytic pathway is upregulated and the mitochondrial oxidative phosphorylation is inhibited. To counteract this certain disease patterns developed in the hybrid population as an adaptive mechanism. These groups of disorders develop autoantibodies against glycolytic enzymes. The cell envelope is of archaeal origin and the glycolytic enzymes are cytosolic. This is opposed to the mitochondrial oxidative phosphorylation scheme which is rickettsial in origin. The primitive parts of the brain the cerebellum functions as an archaeal colony network and promotes the Warburg phenotype and glycolysis. The cerebellar brain is dominant in Neanderthals. The HLA genes are neanderthalic in origin and modulate lymphocytic function. The lymphocytes depend on glycolysis for its energy needs. The neocortex functions as a retroviral colony and promotes mitochondrial oxidative phosphorylation. The HERV genes functions as jumping genes and they can jump and insert themselves in between glycolytic enzyme genetic sequences producing mutations and mutated glycolytic enzymes. The glycolytic pathway becomes dysfunctional. Antibodies are formed against the mutated glycolytic proteins. Thus glycolysis and energy metabolism comes to a halt due to the inhibitory effect of the selfish HERV genes which needs mitochondrial function and ROS generation for its replicatory function and communicating with the cell. Disorders like autoimmune disease, schizophrenia, autism, cancer, degeneration and metabolic syndrome x are disorders of glycolysis and have an autoimmune component against glycolytic enzymes. 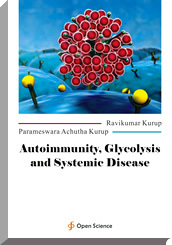 Glycolytic inhibition and ketogenic diet is one way to treat autoimmune disease, schizophrenia, autism, cancer, degeneration and metabolic syndrome x. All autoimmune diseases develop to suppress the Warburg phenotype in Neanderthal hybrids. Autoimmunity is a part of antibody mediated attempt to inhibit glycolysis and Warburg phenotype in Neanderthal hybrids who consume a high carbohydrate diet. This as a by-product generates anti-glycolytic enzyme antibody disease neurodegeneration, autoimmune disease, schizophrenia, autism, cancer and civilisational disease.